We have hired Melissa Schatz-Miller to fill in for Emily Ferguson as she goes on maternity leave for the first half of the school year. Ms. Schatz-Miller was Ms. Ferguson’s student teacher this past year and we are excited to have her back here at Winterhaven. 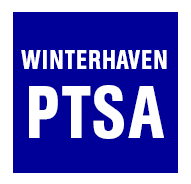 Due to continued complications from her injured leg, Patty Jensen, Winterhaven’s principal’s secretary, has made the difficult decision to resign. She wants everyone to know that she did not wish to leave at this time, but she was unable to continue to serve in this role and be at her best. We hope to have a new principal’s secretary in place by the end of next week. We wish Patty all the best and she will be greatly missed. The PPS school board is now requiring that middle school students in all K-8 schools attend school for 6 hours and 30 minutes each day (not counting late starts). This means that we have to adjust the start time for our middle school classes. Starting this fall, middle school classes will now be starting at 8:30 am. Students in grades K-5 will continue to start at 8:45 am. All students will be dismissed at 3 pm.